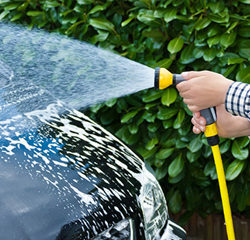 Few people realise that washing the car in the driveway is perhaps one of the most environmentally un-friendly household chores. But alas, we have automatic car washes! 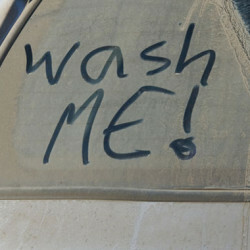 Which means you can still give your car a sparkling clean, while knowing you are only doing kind to the environment. Not long after the first cars came off the production line, some bright spark had the idea of cleaning them, and alas, the car wash was invented! 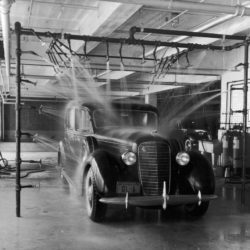 Here is a brief history of the technology that got us to the easy-breezy self-serve car wash bays we have today. And staffed from 8am-4pm each day.